Photo of the Week. 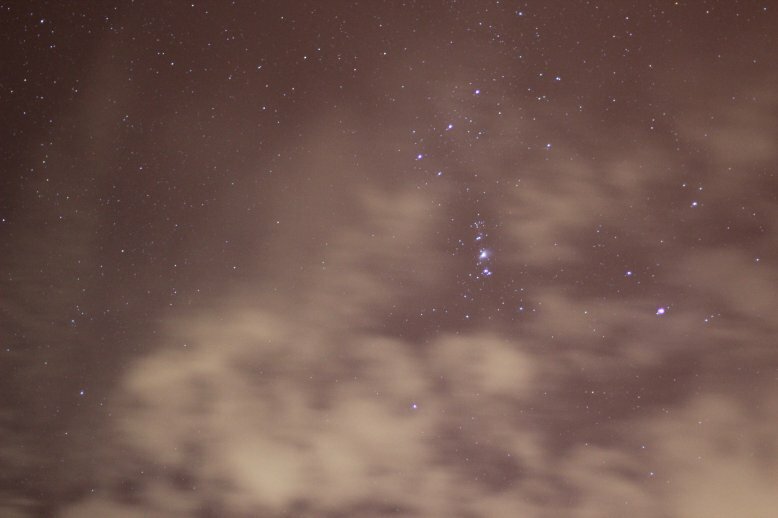 Cloudy Orion. Astronomy news for the week starting Friday, March 2, 2012. 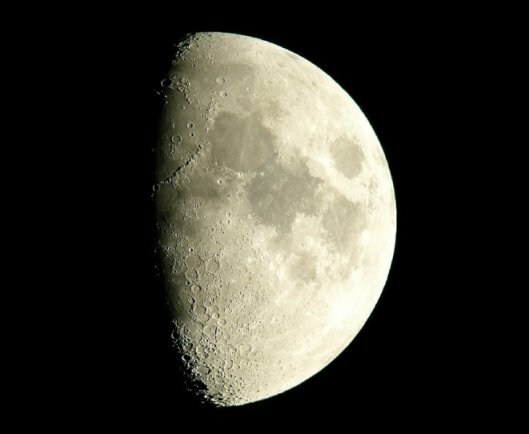 The Moon, past its first quarter, waxes in its gibbous phase during most of the week as it heads towards full phase the morning of Thursday, March 8, roughly around the time of Moonset in North America, giving us a grand sight in the west as the Sun lights the sky in the east. Only a bit of the waning gibbous will be seen the following morning, the Moon almost indistinguishable from full. The evening of Tuesday the 6th, the rising bright Moon will be found to the south of Regulus in Leo, the star difficult to see, while the following night, that of Wednesday the 7th, the Moon will pass a rather whopping 10 degrees to the south of Mars (the large separation due to the tilts of the respective orbits). 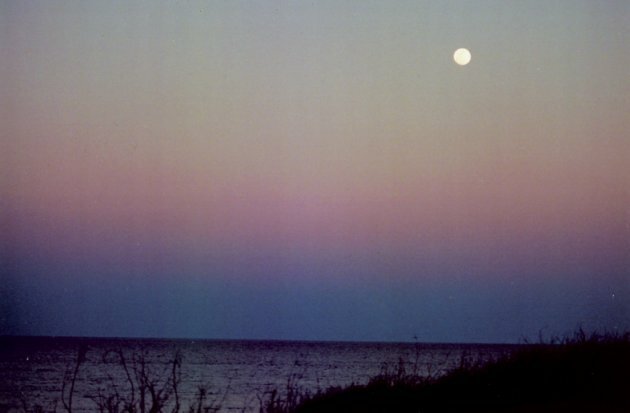 The planetary sky overrules even the brightness of the Moon. Several things are happening. To the west, within or shortly past the end of twilight, Venus and Jupiter present an increasingly attractive sight. Lower down and by far the brighter, Venus first appears in bright twilight about half way up the western sky and does not set until 9:30 or so PM. Above it is Jupiter. 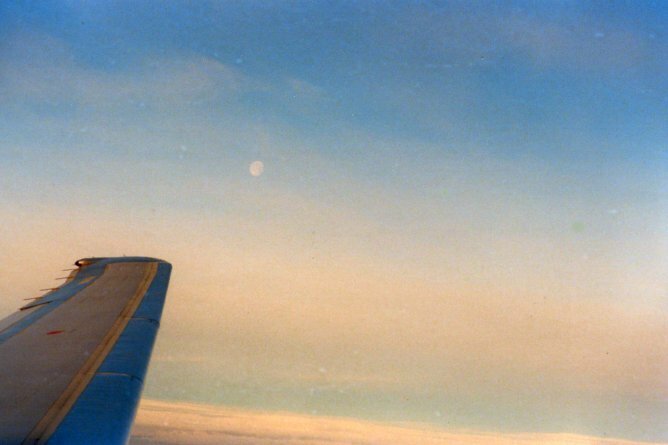 With Venus moving ever higher from night-to-night and Jupiter ever lower, the two are on course to pass each other in a spectacular conjunction next week. The closure between the two can be seen from one night to another. Much farther down, hovering above the twilight horizon, is Mercury, which passes greatest eastern elongation with the Sun on Monday the 5th. On the other side of the sky, Mars begs for attention. It's really the warrior's week. Slowly retrograding through southern Leo, the red planet passes through opposition with the Sun on Saturday the third. Mars will then rise at sunset, set at sunrise, and cross the meridian to the south at midnight. Two days later it goes through its actual closest approach to Earth (0.68 Astronomical Units) for this round, the two events not happening at the same time because of the rather large eccentricity (nearly 10 percent) of the Martian orbit. Now at maximum brightness, Mars is just a bit fainter than Sirius, the star seen to well down to the south at the end of twilight. Seemingly ignored, Saturn rises around 9:30 PM just as Venus sets (roughly an hour before Jupiter goes down) still to the northeast of Spica, and crosses the meridian to the south around 3 AM. High in the sky around 8 PM to the northeast of Orion, it's a good time to admire Gemini, which is most represented by the two bright stars Castor and Pollux. To the west will be Taurus with its Hyades and Pleiades clusters, with the Summer Solstice roughly between the two constellations.